The struggle with summer is that, no matter how much you try, it is only going to last a brief amount of time. In a snap, you go from that bright and sunny beach-time weather to the cool, crisp breeze of autumn. But, the summer fading away doesn't have to mean that you let go of all the fun that you've had. Sure, you might not be running out to the lake or setting off the fireworks outside of summer, but some things are a necessity year 'round! Prove that not all hot dogs are designed for digestion when you slide your buns into this exclusive Hot Dog Costume. This great look was designed in-house by our genius creative team, clearly after we kept them from a lunch break. 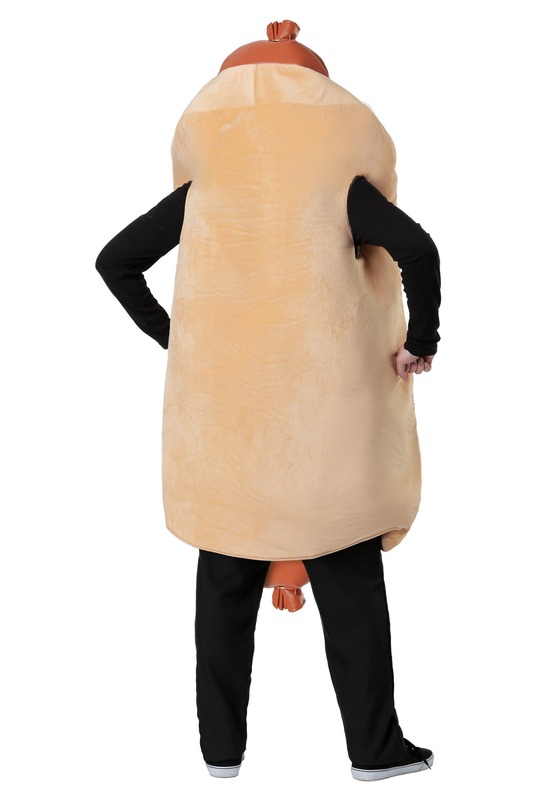 The full body suit looks just like a giant hot dog with a mustard squeeze inside a perfectly sized bun. Your head pokes through a face hole and two arm and leg holes allow you all the mobility you'll need to run away from your hungry guests. 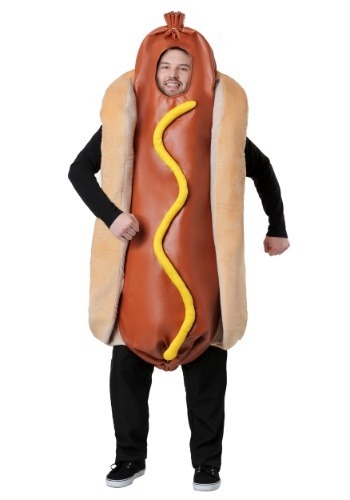 The only thing that is going to be difficult about your day when you're in this amazing Hot Dog Costume is avoiding all the jokes and innuendos that you're going to want to say! Of course, that might be part of the reason you're looking to become a giant hot dog. So, you'll enjoy every moment with this big... costume.